Capsis Hotel offers an ideal option for business meetings, conference receptions and tours around the city of great religious and cultural significance. 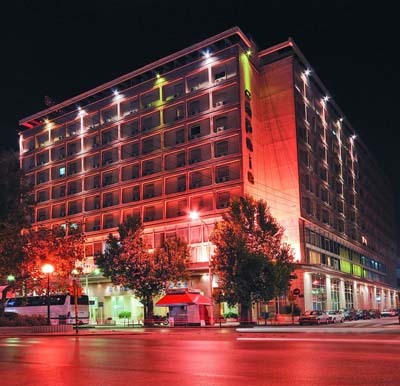 Capsis is the largest business hotel in Thessaloniki, and being located in the crossroad of the industrial zone and the thruways, the hotel eases the transportation throughout the center of the city. Choose among the 407 rooms (categories Club Elegance, Club Business, Club Classic), Executive rooms, Junior Suites, Business and Executive Suites. 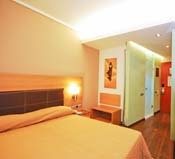 The rooms include air-conditioning and central heating, TV 21” TFT screens, free Wi-Fi, bathrobe and slippers, hairdryer and a set of cosmetics, laundry/dry cleaning. The hotel is carefully designed to enable access and transportation of individuals with special needs throughout all main hotel facilities. Stay Late service gives you the opportunity to check out at 20:00, instead of 12:00, with a small extra charge. Make use of the Stay Late Service and travel at night! Byzantium restaurant combines aesthetic design with traditional patterns that resemble the Byzantine Church of Twelve Apostles. Start your day by experiencing one of the traditionally best-known breakfasts of the city, where our culinary expertise will satisfy all your senses. We intend to provide you with a mixture of scents and pleasures found in a variety of homemade delicacies, traditional tastes, as well as modern recipes. Gourmet dishes prepared by our Chef will satisfy even the most peculiar tastes and pamper all your gastronomic senses. Relax and enjoy your coffee, sweets, a snack or a drink at our All Day Bar. Two TFT screen television sets will keep you posted about the political, social and athletic happenings of the day. Pamper yourselves in the Hermes Health Studio.Work out by using the latest technology equipment of the gym free of charge, relax by enjoying a massage and refresh yourselves. Experience the magnificent view of the city by drinking an exotic cocktail by the pool. Organize your receptions, dinners & cocktail parties at the hotel’s roof garden. The hotel’s parking area is underground and carefully monitored to ensure your vehicles safety. Capsis Conference Center Rooms have total capacity of more than 2000 persons, with the ability to host from 4 up to 500 people. 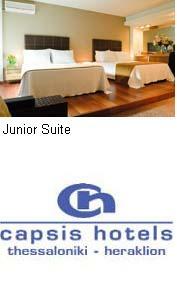 The rooms have natural light and are fully equipped, with no obstacles blocking the view. Having as a competitive advantage the congress lobby of 700sq.m, the hotel’s mezzanine floor is an ideal place for placing stands of the sponsors of each congress. Free Business Office services and Free Wi-Fi access within all hotel facilities allow you to communicate with your own people at any time you wish.